Rhesa Hawkins Barksdale has served as circuit judge on the US Court of Appeals for the Fifth Circuit since 1990. He was born on 8 August 1944 in Jackson and went on to earn a bachelor’s degree from the US Military Academy at West Point, New York, in 1966. As a company commander in Vietnam, Barksdale was decorated for bravery in combat, receiving the Purple Heart, Bronze Star, Silver Star, and Cross of Gallantry with Silver Star. He left the army in 1970 and earned a law degree from the University of Mississippi School of Law two years later. Barksdale spent a year as a law clerk for US Supreme Court justice Byron R. White before entering private practice with the Jackson firm of Butler, Snow, O’Mara, Stevens, and Cannada; he remained there until 1990, becoming a partner. Barksdale also taught law at the University of Mississippi School of Law and Mississippi College School of Law. He chaired the Mississippi Vietnam Veterans Leadership Program from 1982 to 1985. On 17 November 1989 Pres. 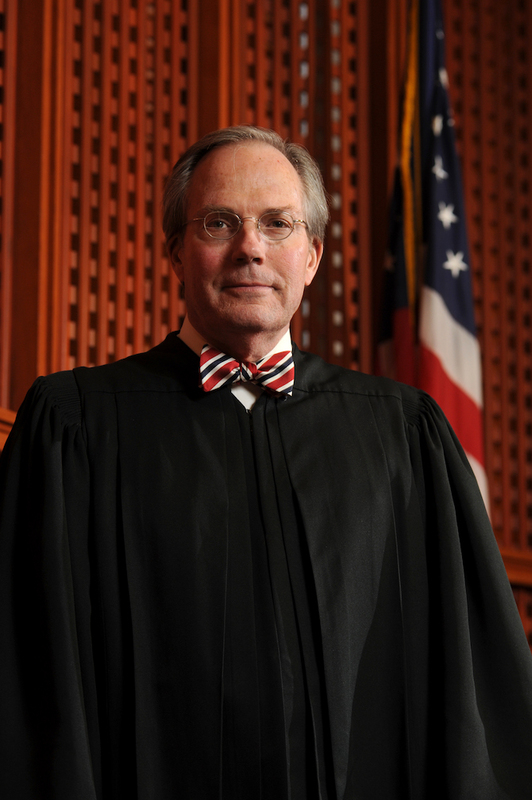 George Bush appointed Barksdale to succeed Alvin R. Rubin on the US Court of Appeals for the Fifth Circuit, and he took his oath of office on 12 March 1990. In a 1991 decision, Murray v. City of Austin, the court held that the depiction of the Christian cross on the insignia of the City of Austin, Texas, was not a violation of the Establishment Clause of the US Constitution. Barksdale, writing for the panel, held that the inclusion of the Christian cross on the city’s coat of arms neither inhibited nor advanced religion because the insignia did not have any proselytizing effect and did not endorse religion. In 2000 Judge Barksdale wrote for the panel in Burdine v. Jackson. Calvin Jerold Burdine had petitioned for habeas corpus on the grounds that his attorney had provided ineffective counsel by repeatedly falling asleep during Burdine’s trial for capital murder, which resulted in his conviction and death sentence. The US District Court granted relief, and the government appealed the court’s order. On appeal, the US Court of Appeals for the Fifth Circuit found that the presumption of prejudice for purposes of ineffective assistance claim was a new rule and that could not be applied retroactively to benefit Burdine. The court also found that the attorney’s behavior did not warrant a presumption of prejudice for Burdine’s claim of ineffective counsel. On rehearing en banc, the majority of the Fifth Circuit affirmed the district court’s grant of habeas corpus relief. Barksdale and four other judges dissented. In 2004 Judge Barksdale wrote the opinion affirming the conviction of Ernest Avants for murdering sixty-seven-year-old Ben Chester White in 1966. Thirty-seven years after the crime occurred, prosecutors brought Avants to trial on charges that he and two other Klansmen had killed White to lure Martin Luther King Jr. to Natchez, where they intended to assassinate the civil rights leader. A jury convicted Avants, now seventy-two, of aiding and abetting a premeditated murder. Avants appealed, arguing that the government had intentionally delayed indicting him to gain a tactical advantage. Writing for the court, Barksdale affirmed the district court’s finding that the government’s delay in bringing the indictment was not motivated by bad faith.